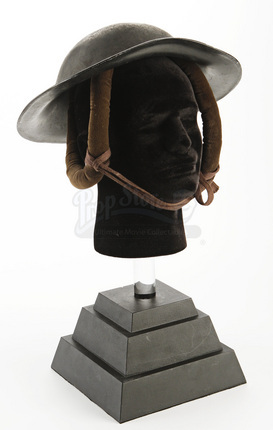 An Imperial Army Bucket Helmet from Edward Zwick's 2003 historical drama, The Last Samurai. Warrant Officers who led the riflemen in the Japanese Imperial Army wore blue uniforms with helmets such as these and can be seen throughout the film. 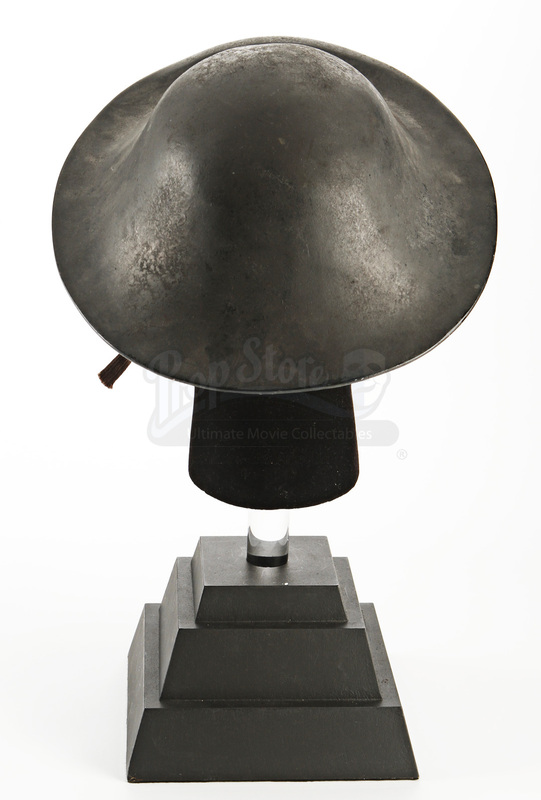 Unlike the rifleman who wore pointed hats, this helmet features an rounded top with a wavy brim. Made from heavy plastic, this hat includes a pair of looped felt straps that extend down to the wearer's cheeks. The loops fasten under the users chin with laces that are attached to the felt. 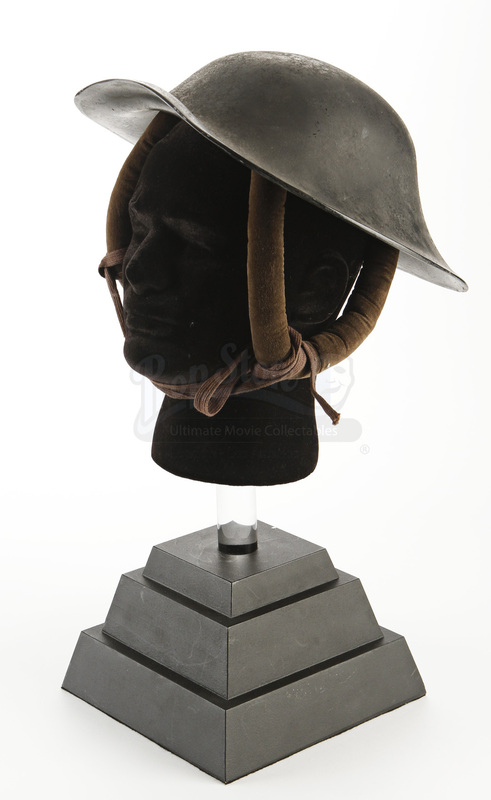 This helmet does not feature any sizing information, however it remains in good production used condition. *Please note that the pictured headstand is not included. Item condition may vary slightly from the version pictured.